The lap of sophisticated luxury is yours with the commanding presence of the Shinola® Detroit Bedrock chronograph watch. Super-LumiNova™ three-hand analog display with Argonite 5020 high-accuracy quartz movement, date display window, and two sub-dials. Midnight blue dial face with stick indexes, minute track at perimeter, and brand name. 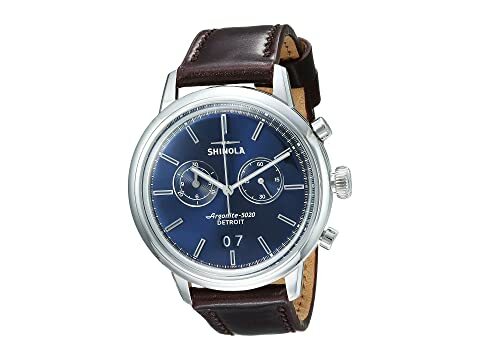 We can't currently find any similar items for the The Bedrock 42mm - 20065290 by Shinola Detroit. Sorry!